This cutting-edge addition to the Milady Standard offerings is aimed at anyone and everyone with a passion and desire for becoming a makeup artist or working in the world of makeup. 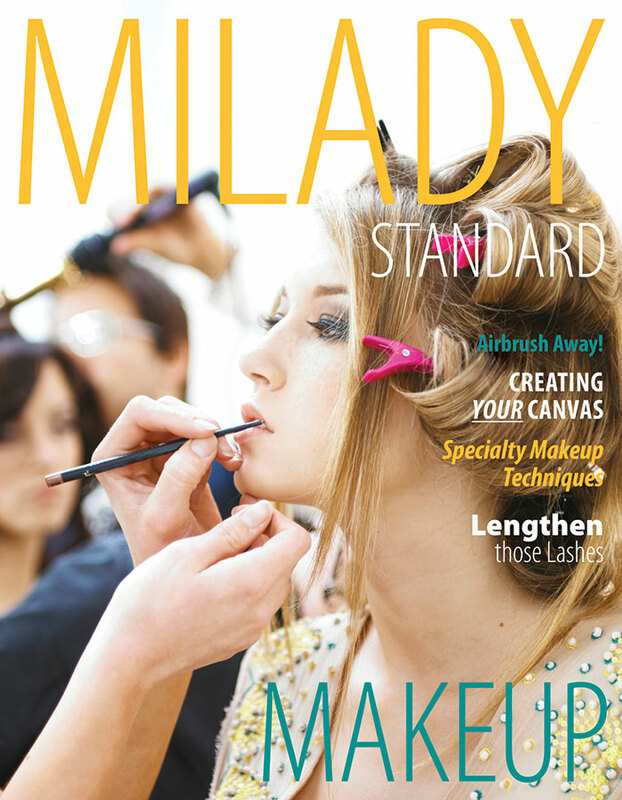 Milady Standard Makeup is a full-color text, packed with more than 800 photos and illustrations, covering everything from anatomy and physiology to color theory, product types and tools. Readers will also learn how to create natural looks and deal with particular skin types such as mature and acne-prone skin. Clear explanations of the science and theory of makeup provide strong foundational content for grasping information in a timelier fashion. “Spotlight Profiles” sections present invaluable advice from worldwide experts. Focus on specific facial features allow for taking into consideration every feature as an independent attribute of the face. End-of-chapter review questions reinforce concepts. Step-by-step procedures are accompanied by full-color photos to ensure accuracy.